Added inKit (IK) and inBOMP (IB) column types to the user-defined CSV report. To set up the new fields, go to: IM -> Reports -> Reorder Advise/User Defined CSV -> Maintenance -> User Defined CSV Layout. Enter specification number to add or change. In the type field, enter "IB" for inBOMP. 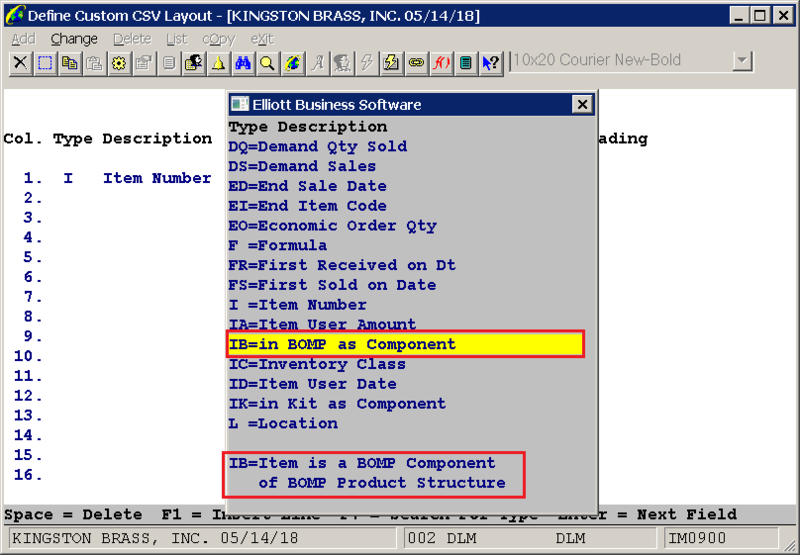 The CSV field will have "Y" if the item is a component item of any BOMP parent item. Enter "IK" for inKit. 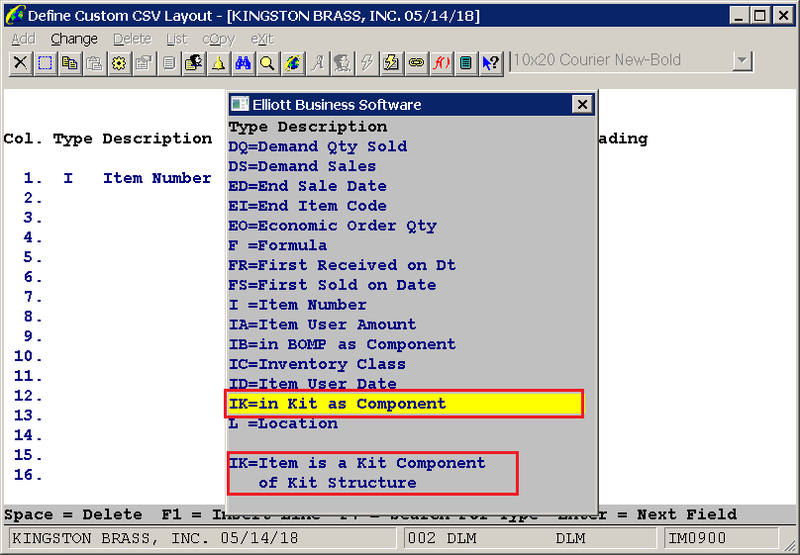 The CSV field will have "Y" if the item is a component item of any Kit item.